This lab has all you need to print and use OR you can use suggested materials. There are 12 different lab stations to choose from! 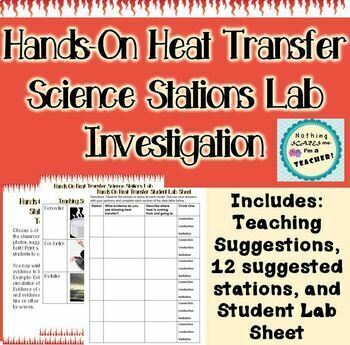 Includes printable student lab sheet, teacher directions and suggestions. At each station, students will observe the demonstration, determine the method of heat transfer, and describe the direction of heat flow. 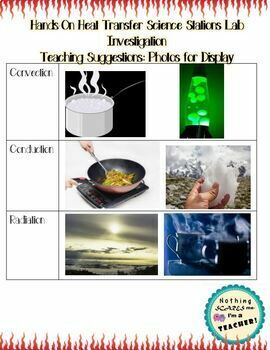 If you like this lab, try these other fun lessons!